GossipWeLove | Pop Culture and Entertainment News Site: RHOA’ Cast Shakeup: Fan Favorites Get Axed By Bravo Execs! We recently reported that NeNe Leakes is no longer besties with Cynthia Bailey, in fact, there's now talks of NeNe have allegedly convinced RHOA's producers to fire her. 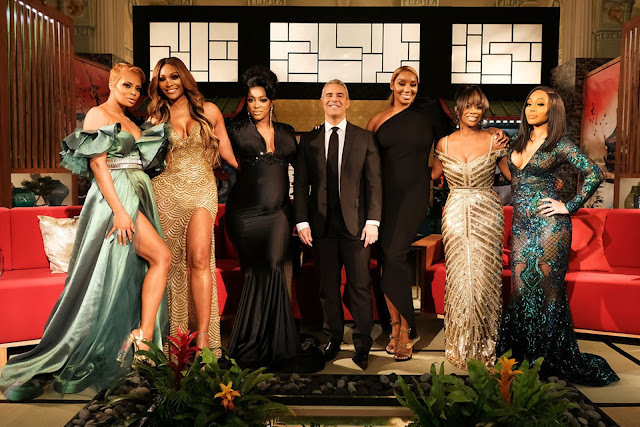 According to Radar Online, as season 11 of The Real Housewives of Atlanta comes to an end, an inside source spills the tea on the future of the women on the show, including the status of NeNe and Cynthia's fate. NeNe’s husband Gregg Leakes Opens a New Window. ’ cancer battle took a toll on the couple, and she was fighting with everyone on the show, but her contract for the next season is confirmed. “Unless NeNe decides on her own not to do the show, they will have her back and give her a raise,” the source snitched. “Execs are still considering firing Cynthia and bringing Marlo [Hampton] on full time,” the insider added. Tanya Sam is said to be potential full-time replacement for Cynthia. “She could get married and have a baby, and they would like that,” the source said about Tanya’s potential storyline. One woman who is not coming back is ousted cast member Kenya Moore Opens a New Window. .
As for Kenya Moore, “The executives hate Kenya still, and they know that she was trying to capitalize on her free appearance for publicity when she showed up at Cynthia’s party,” the source revealed. “Kenya is definitely never, ever, ever coming back.” Ouch!